So as we mentioned in our last post we have lots of new things up our sleeves for 2015. 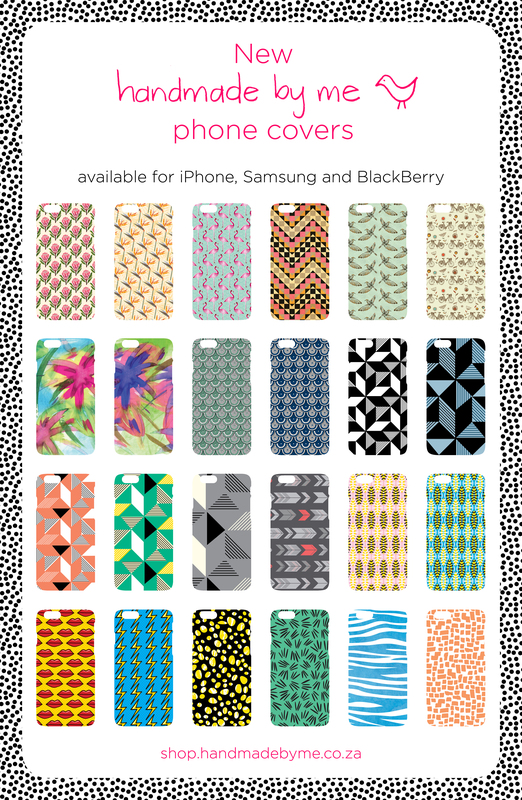 First off, we have just launched our new range of locally produced phone covers for iPhone, Samsung and BlackBerry. 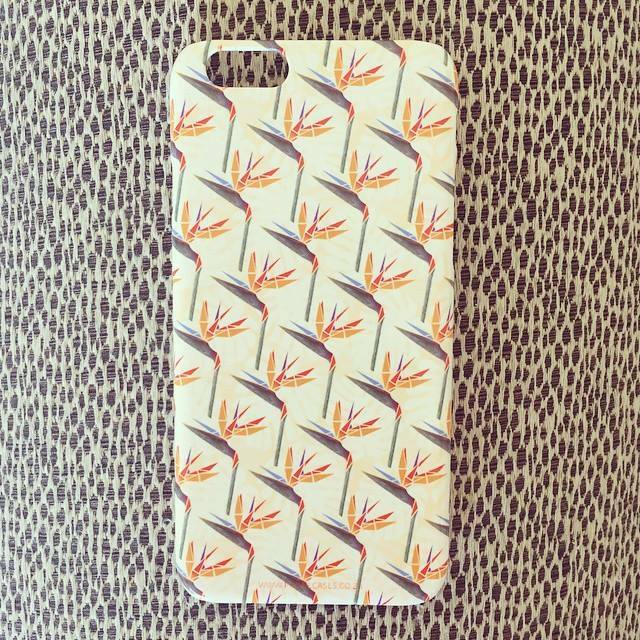 You may have seen this pic on my instagram feed of the one I had made for my iPhone 6 in the Striking Strelitzias design. And here are some pics of the phone in it’s cover. All our phone covers are made using durable polycarbonate hardcase construction that will protect the surface of your device without adding any bulk to its exterior. The design is printed on the back and down the sides of the cover which simply snaps on to your phone. Precision-cut for a perfect fit and tailored to suit each phone model. We do print them in any design you want, but here are some we put together for you. These are all available to order from the Handmade By Me online shop directly. They are R380 each and the leadtime on orders is 2 weeks. 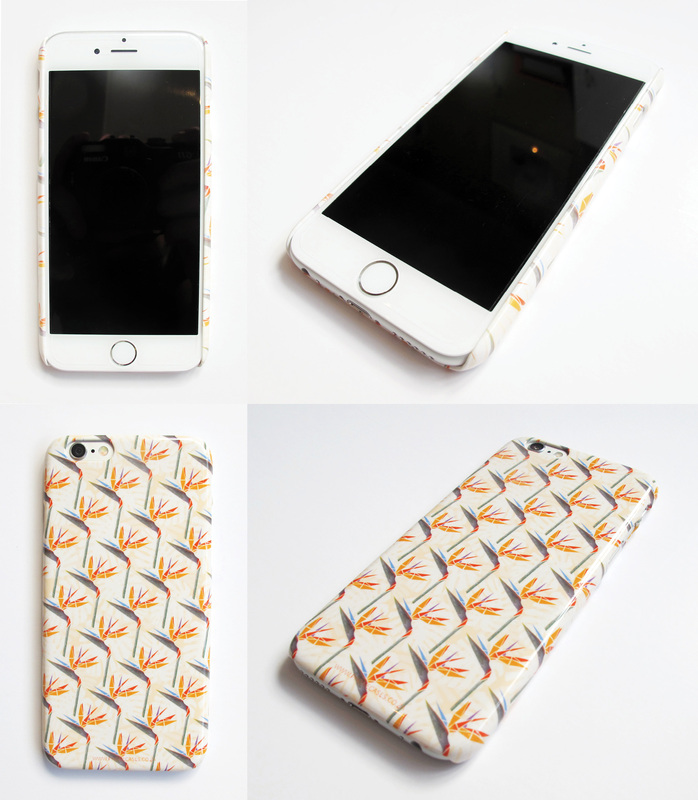 This entry was posted in new products, Uncategorized and tagged bird of paradise, blackberry, case, colourful, cover, design, designer, handmade by me, handmade by me shop, hardcase, iphone, local, mobile, pattern, phone, polycarbonate, samsung, strelitzia by seraholland. Bookmark the permalink.